After nearly six hours of negotiation, the list of 12 University of California, Santa Barbara student-written demands to improve campus and UC systemwide sexual assault resources and policies were signed and agreed to by both students and administrators. Chancellor Henry T. Yang, Vice Chancellor of Student Affairs Margaret Klawunn, and Associated Students Executive Director Marisela Marquez comprised the faculty members who signed the document, agreeing to be held accountable to the demands listed that ranged from the creation and funding of a survivor resource center to urging the UC President to engage in annual sexual assault town halls on each UC campus. Administrators also agreed to “develop a process to meet the personal demands of” fourth year Ro’Shawndra Earvin, who led Wednesday night’s sit-in and whose demands included tuition debt paid in full, the freedom to transfer to a different UC for her last remaining quarter, and access to the survivor resource center in the future. May 4, 1:10 a.m.: The organizers have released an updated list of demands. 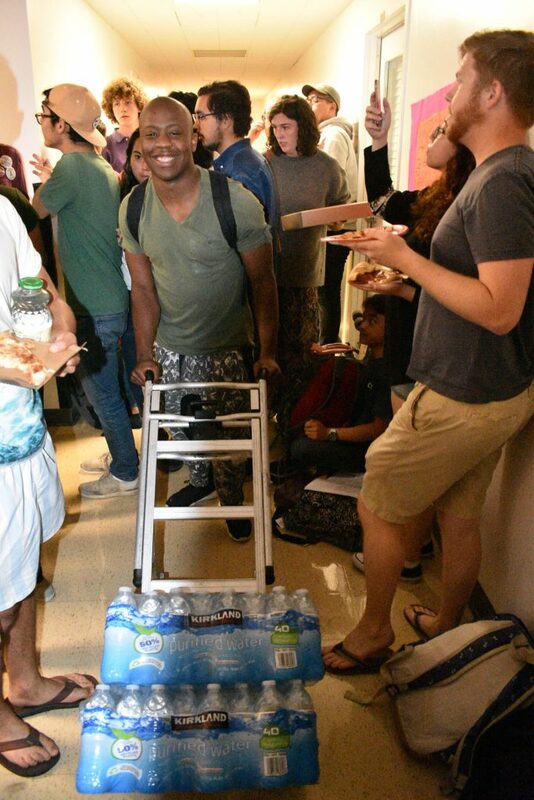 Over 50 students filled the halls outside Chancellor Henry T. Yang’s Cheadle Hall office Wednesday night to address what they call a mishandling of Title IX sexual assault cases on campus. As of approximately 9:35 p.m., Yang had arrived at Cheadle to meet with participants of the sit-in, and began a meeting with the organizers an hour later. Fourth year student Ro’shawndra Earvin led the sit-in, advocating on behalf of her own case, in which she says she was drugged and raped. Earvin said that her case had been rejected by the District Attorney’s office due to “insufficient evidence.” Earlier in the evening, Earvin shared with Associated Students Senators her lack of faith in the University of California system after she discovered that campus resources, including the UC Santa Barbara Police Department, were unable to handle her case because it occurred in Isla Vista. Though Earvin sought assistance from Campus Advocacy, Resources & Education, she did not feel that CARE officers were efficiently equipped to deal with the legalities of her case. Holding up a highlighted copy of her police report, Earvin pointed to a statement she said was riddled with inaccuracies. She said she did not believe the report accurately conveyed the truth of her case. The Bottom Line is in the process of contacting the SB Sheriff’s Department and the DA’s office for more information on this case. 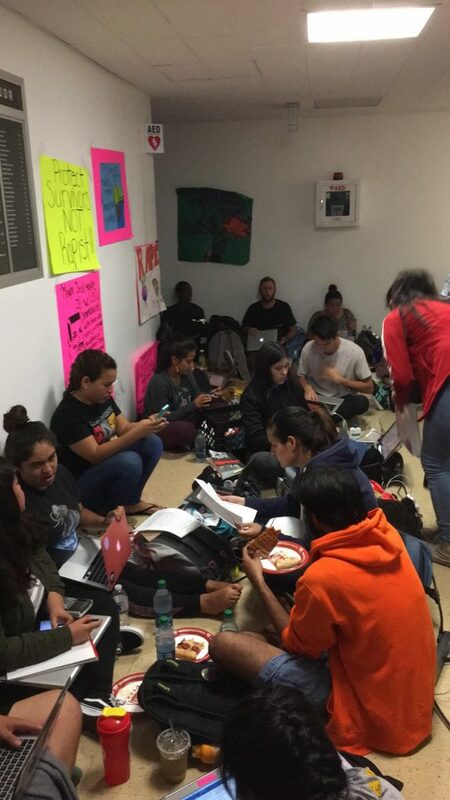 The sit-in began only hours after UC Systemwide Title IX Office Director Kathleen Salvaty had met with students to hear concerns. 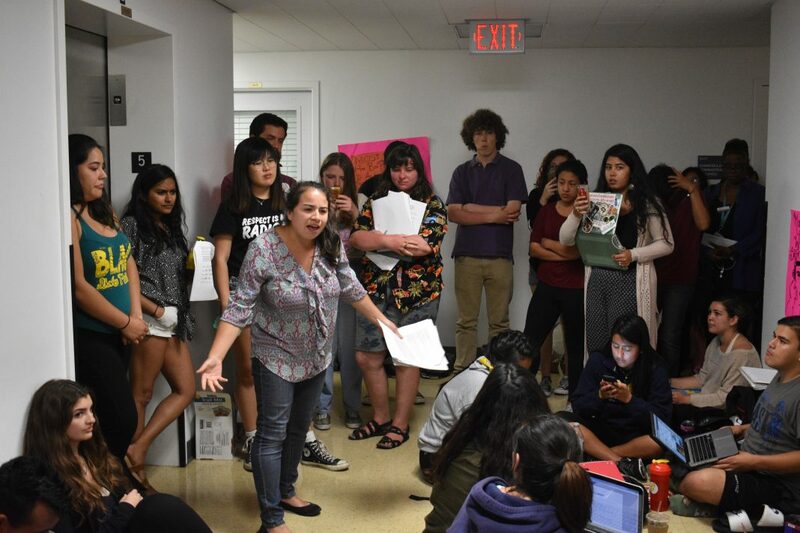 Fourth year sociology and Chican@ studies double major Alejandra Melgoza said she was grateful that a space was made to voice concerns, but expressed disappointment with Salvaty’s lack of UCSB-specific knowledge. As Melgoza sat beside Earvin and helped her draft demands to the Chancellor, Melgoza said she was reminded of the 13-hour sit-in of similar proportions she had staged two years prior in 2015 following her own case of sexual assault. When asked if the demands she made had been met, Melgoza was quick and to the point. “They’ve met them to an extent — bits and pieces — but in all honesty, no,” she said. Vice Chancellor of Student Affairs Margaret Klawunn and Counseling and Psychological Services Director Jeanne Stanford arrived shortly after students had begun gathering. Third year political science and Asian American studies double major Akshaya Natarajan, one of the allies of the sit-in, shared Earvin’s ultimate goal for the night with the crowd of 40, which included A.S. President Austin Hechler and some of the A.S. senators who had heard Earvin speak earlier. This article will be updated as we receive more information.